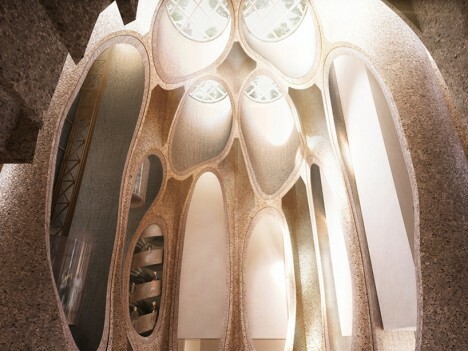 An amazing hybrid of preservation and transformation, this project involves carving a series stunning spaces inside a huge series of concrete silos set alongside the waterfront of Cape Town. 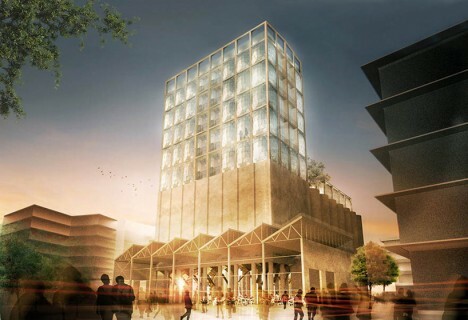 Once the tallest structure in the city, but abandoned since 1990, this converted complex will provide a home for 80 art galleries and create a hub for cultural activity. 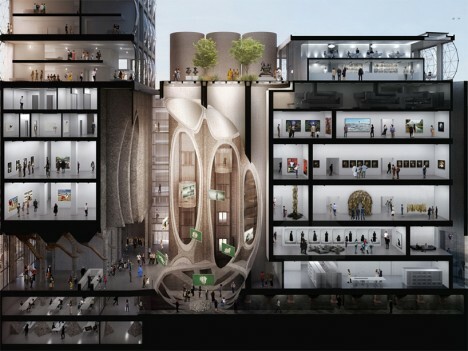 The spatial solution proposed by Thomas Heatherwick Studio involves scooping out huge voids within the existing industrial heritage site. 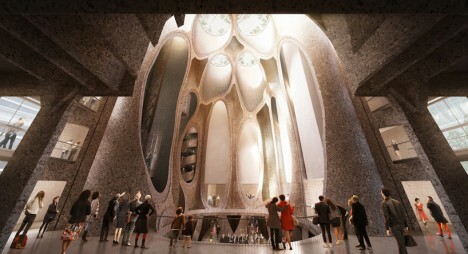 This approach in turn exposes visitors to the tubular interiors of the silos via a newly-formed atrium while conserving much of the original building exterior. 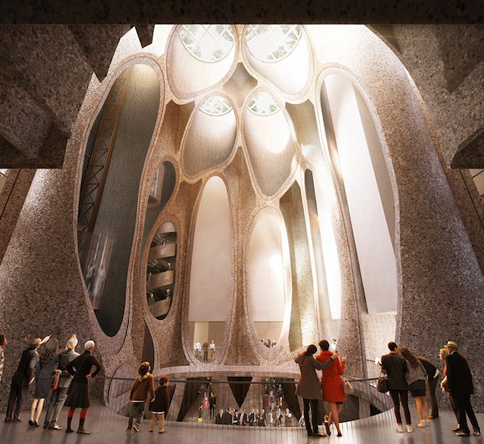 Meanwhile, below the surface, a series of re-purposed underground tunnels and storage spaces will provide additional access to the architectural history of the complex. 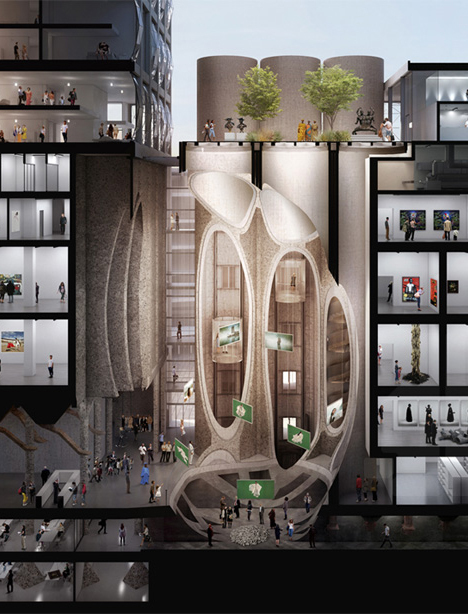 The non-profit endeavor will exhibit contemporary African art via indoor galleries as well as a rooftop sculpture garden, bookstore, restaurant, bar and more. 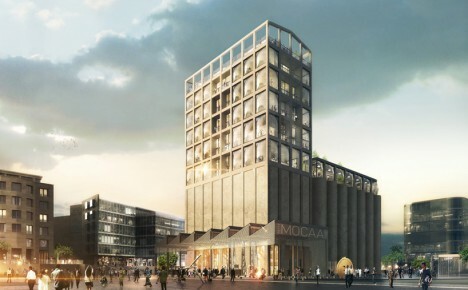 THS will be working on the Zeitz MoCAA (founded with the collection of entrepreneur Jochen Zeitz) with a series of local partners including Ven Der Merwe Miszewski (VDMMA), Rick Brown Associates (RBA) and Jacobs Parker. Regarding the search for a perfect site, Jochen Zeitz explains that “for five years we investigated suitable sites across Africa. 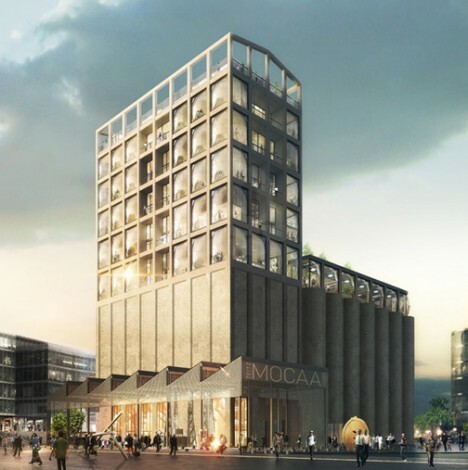 The V&A waterfront provided an iconic heritage building, situated in one of the most visited and iconic sites in [the country].” Meanwhile, all of the existing silos will be capped with glass to let in light and show off their shape from above.